These simple flatbreads are wonderful with a full-on dip to dunk into with gusto. 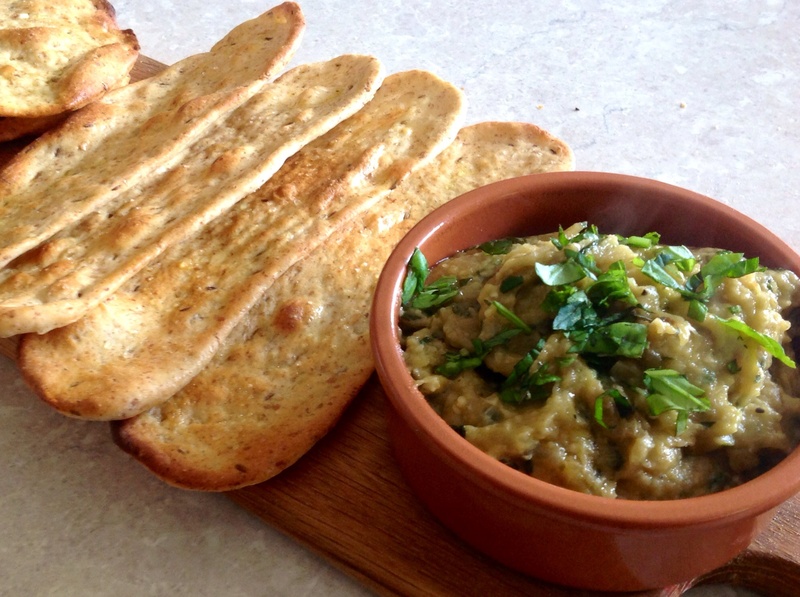 My dip of choice here is baba ghanoush, a wonderfully smoky aubergine dip. It is by far my favourite dip and having tried dozens of baba ghanoush recipes over the years, I now use the recipe below which is my amalgam of the best ideas and flavours from those recipes. I am such a fan of this gorgeous dip that I grow aubergines primarily to be used in a multitude of baba ghanoushes! The only variations I make to the baba ghanoush is to occasionally use flat-leaf parsley instead of the basil and/or mint, and I sometimes add some chopped roasted garlic at the end. You can add skinned and chopped tomatoes but I don’t think they are needed here. The charring of the aubergines really is essential in creating a deep smoky flavour: a barbeque is ideal for this. 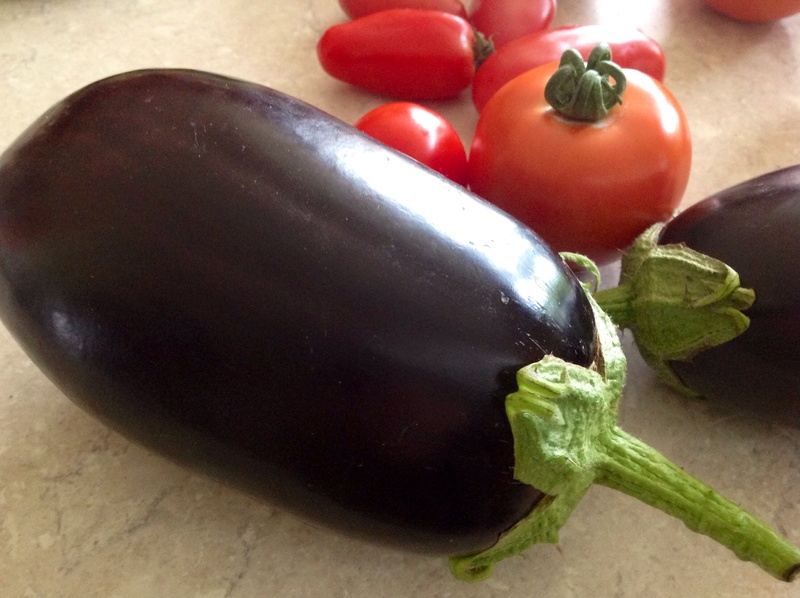 The aubergines do need to be pricked all over, though, otherwise they might explode! And don’t get carried away when mixing all the ingredients together at the end: there needs to be texture – you really don’t want a sludgy mush (no matter how fabulous it tastes). 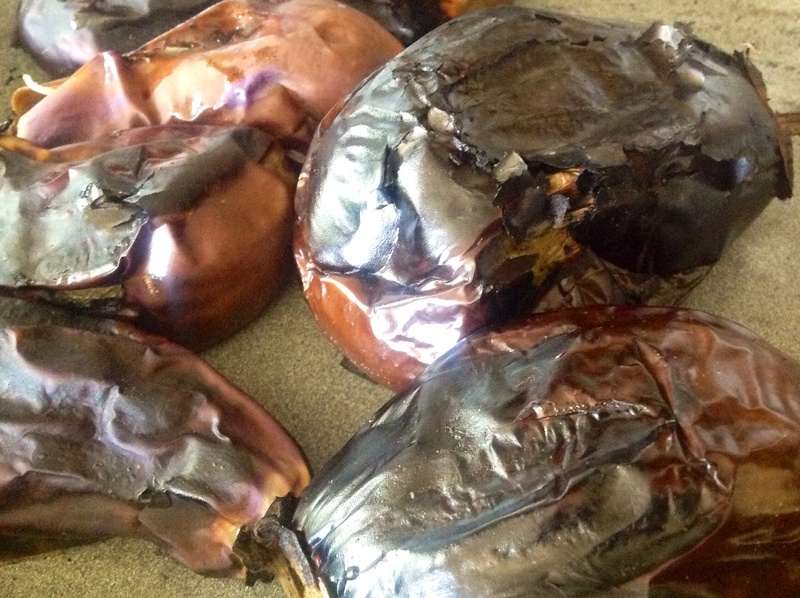 The baba ghanoush does benefit from being made a day or so in advance so all the flavours have a chance to develop and I think it is best served at room temperature. A lovely, simple starter is to slice tomatoes fairly thickly, season well and spoon over some of the baba ghanoush. Drizzle with a little extra-virgin olive oil and bake for about 15 minutes at 190C(fan). (1) Put the cumin and caraway seeds in a small pan over a medium heat and dry-fry for a few minutes until a little darker and their lovely aromas are given off. Crush gently with a pestle and mortar but don’t turn them into powder: you want visible pieces. Leave to cool. (2) Mix the flours, yeast, salt and seeds in a bowl. Add the oil and most of the water and mix to form a soft dough. Knead for about 5 minutes until the dough is more elastic and smooth. Place in a bowl, cover with clingfilm and leave to rise at room temperature until about double in size. (3) Turn the dough out onto a lightly oiled work surface and knead lightly to deflate it. Cut into 16 small pieces and roll each out as thinly as possible (or pass through a pasta machine). Place on a baking sheet lined with greaseproof, brush with oil and sprinkle a little crushed sea salt over each. Leave for about 20-30 minutes until just a little puffy. Meanwhile, heat the oven to 220C(fan). (4) Bake the flatbreads for 8-10 minutes until deep golden, and transfer to a wire rack to cool. (1) Prick the aubergines with a fork and put a couple of skewers through them (it’s easier to rotate the aubergines that way). Hold them directly over the gas flame on the hob, turned up high, turning for about 15 minutes until the skin has fully blackened. Alternatively pop them on a barbeque or pop them in the oven, preheated to its highest temperature, and cook for about 20 minutes until the skin is charred. Leave to cool a little. When cool enough to handle, peel off the aubergine skin and roughly chop the flesh. 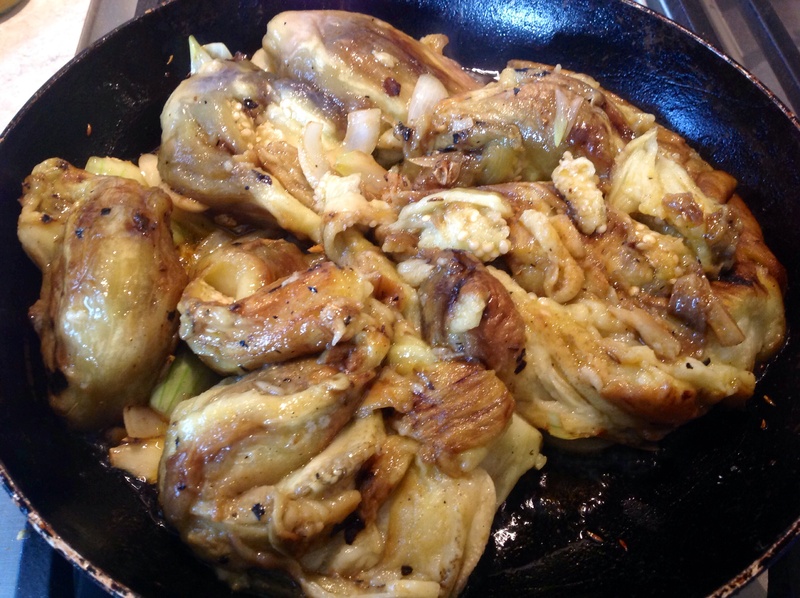 (2) Meanwhile, gently fry the onions, the smoked garlic, cumin and seasoning in the oil for about 10-15 minutes. Add the aubergines, the chopped garlic, a spritz of lemon juice and about half of the chopped mint and basil to the onions and fry gently for a further 5 minutes or so. (3) You can put the mixture in a blender and pulse just a couple of times until the mixture has broken down a bit, but retains some texture. Alternatively crush lightly with a fork or spoon. Mix in another spritz of lemon juice, the remaining basil and the mint. (4) Pour into a bowl, scatter over some freshly torn basil leaves, with maybe a few mint leaves, and serve. Thank you. And didn’t last long once made up!